If the stats contained within a new infographic are to be believed, people in the U.K, Australia, Spain, France, and a couple of other countries are bigger Game Of Thrones fans than residents of the United States are. 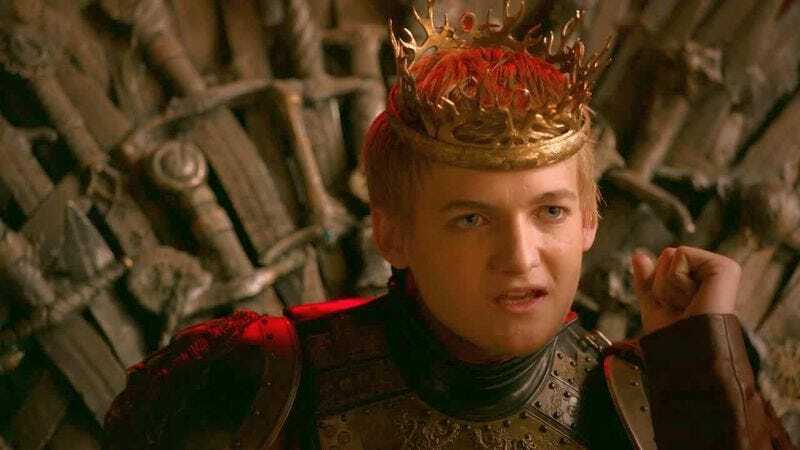 Moreover, the most popular—or at least most talked about online—character in the U.S. is King Joffrey Baratheon, meaning that we’re all obviously inherently evil and/or into heinously evil things. While Australia loves Jon Snow, Germany, India, Italy, the Philippines, and Singapore adore Cersei Lannister for whatever reason. The U.K.—where GOT gets the most chatter—is head over heels for Ygritte. All this information comes courtesy of a chart made and published by Outbrain, who also determined that the least popular character worldwide is Sansa Stark, something that those who haven’t read the books might not really understand. Daenerys Targaryen also gets the most media attention worldwide, but, honestly, that shouldn’t really come as a surprise to anyone.